Welcome to March! You’ll see the website has gone back into a lovely verdant green, to celebrate the onset of spring. Well… it seemed spring-like today, anyway. It’ll probably be snowing again by Friday. There are also a few new pictures on the blog - you might have to ‘reload’ pages to get them, if you’re a long-term visitor, but it’s not worth too much effort. It’s still just pictures of me, looking much the same as always. If I was really committed to the website refresh, I’d have had my nose done. Anyway, more exciting even than new pictures on the new green website: you can now play Only Connect online! Just the connecting walls for now, but it’s brilliant fun - I just tried Wall 1 and got ten points. I had the joy of me telling me that I’d scored the maximum. Hurrah! I always said it was an easy game. Looks kind of grey-blue to me. Very American civil war! I know what’s distracting me! Just played all ten games - great to have a go at last after watching the programme regularly. We want more!! Well, I’ll never scream at the teams on the telly again - ten points for two of ‘em, the rest, not so much. More please! Or indeed the ability to upload our own for others to try! feeling particularly stupid after tonight’s OC and could only manage 7 points on the first wall. was that us clamouring for it on here? lovely dress tonight, and last week come to that. saw you were doing well in the 400k on sunday, did you get placed. I just played all 10 at once - scored maximum just once - though I would have got a second if I’d had time to fill in the reasons. it’s considerably harder on your own with no-one to bounce off. So didn’t Vicky set them herself? The questions tonight were considerably harder - I used tro pride myself in getting the answers before the contestants but not this time. VC confirmed that ther’d be another series so I might just have to give it a go. PS Do the walls change week by week or stay the same each time? I tried and managed a wall, was so proud I posted it on my wall on facebook. Do you have a facebook page or is it a scammer trying to be you…? GM - the new series of Only Connect has been running since January! It’s at 8.30 on Monday nights (BBC 4) and has just entered the quarter final stage. Steve - I do have a facebook page and there are a couple of fakes too (see the thread “Proud To Be All Natural”, under February) - but I never use mine, it’s not worth ‘befriending’ cos I never do anything on there. Adam - I didn’t cash in the Sunday Warmup, I got unlucky with a set of fours near the bubble. Sentient - I don’t think I am very vain really. I mean, I try not to leave the house in my pyjamas with jam in my hair. I try to look nice if I’m doing something on TV. But I’m too impatient to be properly vain; I find clothes shopping and putting on makeup quite boring, so I do it only occasionally and under duress. Also, in poker tournaments these days there are a million people taking pictures; you can’t pose, you have to get on with playing, so there are usually awful pictures of me all over the internet during tournaments and I find I don’t mind very much, which I hope means I must be relatively un-vain. But maybe I’m just pragmatic. ... also! It is harder than on telly because you don’t get to go for the connections unless you resolve the wall, and you have to do it all within the time limit! Damn this connecting wall game!! Way WAY too addictive!! That’s my working day pretty much out of the window now I fear. Apparently not a good idea to try to play those connecting walls when you’ve never watched the program, have no idea how it works and English is not your native language, and an especially bad idea if you are competitive. I just spent an afternoon clicking random boxes and thinking “I’ll show you, stupid game!”, and I’ll probably spend rest of the week wondering how anyone can possibly play this. I tried the 1st 3 walls last night and managed 2 points at best…tried #4 this lunchtime and got 10/10 !! So proud, I tried to use the Facebook link but pop-ups were blocked, I temporarily allowed pop-ups but the web page had gone back to the play/how to play screen so I lost my result, aaargh!!! Could some clever BBC web developer put in some kind of pop-up blocker checker? Otherwise a very fun web page! No doubt this strikes a blow to the happy-ever-after myth of BBC television presenting. Should your fans be worried? Or should we tell the Telegraph ‘NO, THAT’S NOT A GROUP’? good luck, VIcky. i am following your play in Berlin via Twitter. I finally got the complete grid and the connections for grid #10. However, I was only given 4 points because that incredibly harsh woman, she makes Anne Robinson seem cuddly, wouldn’t give me the benefit of the odd typo! You would have given me the benefit of the doubt, I’m sure. What playing it did do though was make me create another game which anyone can play. Even dimwits like me! It is: How Many Times Can you make Victoria say, “No, that’s not a group.” in three minutes. I managed 237. Ok, had a go and got frustrated but got there in the end. Word of warning tho’ ... Don’t say the words “No, that’s not a group” within earshot of anyone who may have tried it. Unless you wish to be beaten with a haddock or somesuch. 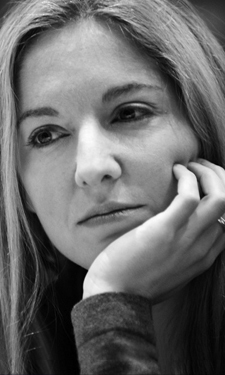 Oh I don’t know Ms Coren (not on first name terms yet); I hear that the pyjama/jam combo is to be unveiled at this years Madrid fashion fair…. ....mind you, if it isn’t raspberry, you will be shunned. Only connect walls are great fun, but real hard. I have found even deeper levels of respect for the contestants now. I finally started reading For Richer… last night after several months, lost copies, a fit on the phone to Amazon and eventually receiving it in duplicate the other day…. Stayed up until six am reading. It is beautiful, soulful and uplifting, with such a profound sadness in parts. Its been ages since I’ve read about a life put so honestly on the page by someone who is such a natural and brave writer that their emotions become palpable; more like being read to aloud than reading words from a page. A great account and I hope you’re as proud as you should be. In recognition of this I will be keeping both copies Amazon have billed me for and giving one to my brother! (who is also a big poker fan) He and I thank you! Hello Victoria- yes I am well aware of when the series began having watched every one of them, what I meant was after this series is over will BBC4 be commissioning a new one- seeing as how the Beeb is being shaken up-enough to awaken Lord Reith this last week, I am hoping that it is not for the axe- or maybe a possible move to prime time BBC2? Sorry GM, don’t know what’s happening after this current series. I hope there will be more Only Connect, but I shall wait to hear from the BBC if they feel the same way! I was just catching up on Only Connect and watched the game the Archers Fans won so handily. One thing, you mispronounced the name of (photographer) Diane Arbus. It should be pronounced Dee-ann. I certainly enjoy the show, and try to play along. I got 10/10 easily on walls 4 and 5, the others were tricky!!! Thanks very much Keith, I’m very glad you’re enjoying the series. There isn’t a script; I’m given a list of suggested lines to use at the beginning and end of each show (some of which I use, some I don’t, and some I adapt) but no script for the actual programme - it would be impossible really, because I don’t know what the contestants are going to say! So the ‘script’ is just the questions themselves - and, because I’d be in pretty disastrous shape without, the answers. Have only just stumbled across Only Connect because I’ve been told to review it for our next TV review show on BBC Tees (yes - radio in the North). After lapsing in not knowing the letters of the Greek alphabet, I redeemed myself with a slight knowledge of rappers and the writers of Red Dwarf. It’s a knowledge of sorts. Enjoyed it thoroughly. And MORE people should leave the house with jam in their hair. David, I’m sorry that it’s taken me so long to reply to your typo question. As a consequence, I’m blowed if I can remember…I’ll go back and have another go and see what happens. Oooh! Five more walls. I’ll do number ten again because there is a small chance I’ll get it all correct…No, I couldn’t even get the blinkin’ groups right! Grrrrr! It’s coming back to me though. I managed to scream ‘Architects! !’ at my computer and for some reason that didn’t count. It’s a great show though! Well done to all concerned. Hi Victoria. Love the programme and big fan of you and your dad. Brother? - I dunno. Chocolate and Cuckoo Clocks has been my permanent bathroom reading (alternating with Stephen Fry’s Paperweight) since it was published. I wondered, any prospect for programmes in the series you did a while back re new words and the OED? PS If the wife ever divorces me, I’ll be in touch. warning ! spoiler for for wall #20 ! in wall #20 you seem to be under the illusion that a riddle is a tool. if you accept this assertion then by the same reasoning you could define a cup as a tool for drinking or a pair of shoes as a tool for walking. i considered complaining to the bbc about this but right now they are too busy getting rid of the best music channel they have ever had to spare the tine to listen to listen to an old pedant like me. 6 music is dead ! long live 6 music ! VC has asked me to reply. I think you may have the beginnings of a good quibble there. Although a riddle is most definitely a garden tool, on reflection I’d concede it is a little odd for 3 of the 4 to be garden tools and the other to be a hardware tool. These grids were from our Genesis of series 1, when we were still finding our feet and it was a nigh-on miracle that (a) the show worked at all and (b) the conestants didn’t run out into the street screaming at the sight of Epsilon. Brand new, minty-fresh online walls will be coming soon. Thanks for the query and hope you enjoy the rest of the series. Thanks very much for taking the trouble to reply. I am enjoying this series of Only Connect. It is the best thing on telly other than The Sky At Night. I am not convinced that a riddle qualifies as a tool. You couldn’t make a table and a set of chairs with it. I have just finished the new walls (21-25). I think some of the connections are too obscure. When you fail you need to be thinking “I should have got that!” and not “I’d never have gotten that in a million years” . Vicki’s photo is very enigmatic. She looks like the captain of a hockey team that has just been beaten by a less intelligent side. Perhaps you might consider asking for captions. I think someone needs to look at this. Aside from this, it’s great, and so of course is the programme. I won’t pretend that I score more than average, but I was screaming the answers to the wall for the last episode, and I usually do pretty well at the missing vowels. It’s a subtly unusual move to post up episode 14/15 and 15/15 in the coming up section for those watching on iPlayer. It’s nice not to be surprised for a change. Okay, so I’ve played all the walls. I’m trying to apply to go on the show. How do I do this? The BBC website just goes round in circles. Anyone know how to apply? Please email me! The walls are great fun to do but it is a pity that we cannot win points for naming the groups unless we have completed the groups, as the contestants in the real thing can. Is there any way you can incorporate this into the game for us? It would also be nice if the naming did not have to be done within the 3 minutes. does anyone know why i am just seeing up to wall 25? I see from the correspondance above that some of you have completed up to wall 30. What a brilliant game. I’m getting old (as are my braincells) but love to play along with the contestants and have just tried a couple of walls online. Great fun but my brain hurts! Our house loves watching the game. It’s been great fun to introduce it to people who don’t know about it, then seeing them really take to it. When you explain the really dumbfounding connections, the natural reaction seems to be to laugh at just how splendidly perverse, but nevertheless undeniable, they can be. Where did such a brilliant idea come from? By the way, we can hardly imagine any presentational style other then your own! Best wishes from snowy Glasgow! Congratulations on a great game…..even better now I can play it at home. I do agree however that the connections should be in the “That was clever / obscure ” but not the “I wouldn’t have got that in a thousand years ” category. ..for example, anyone not living near London would never have got the London restaurants names and that is an unfair bias. It should be open to someone with a wide scattering of info wherever they live. Love the programme. Now I’ve nearly done all the walls what shall I do when I wake at 3.00? Please put some more up. Happy new year to you all. Please bring back the little clip of the first team and Victoria walking towards the connecting wall - it’s my favourite bit! have tried to play only connect on line but nothing comes up, would like to play, can you help?